Our handmade Humpty Dumpty baby rattle makes a fantastic gift for a newborn baby or a fabulous baby shower gift. 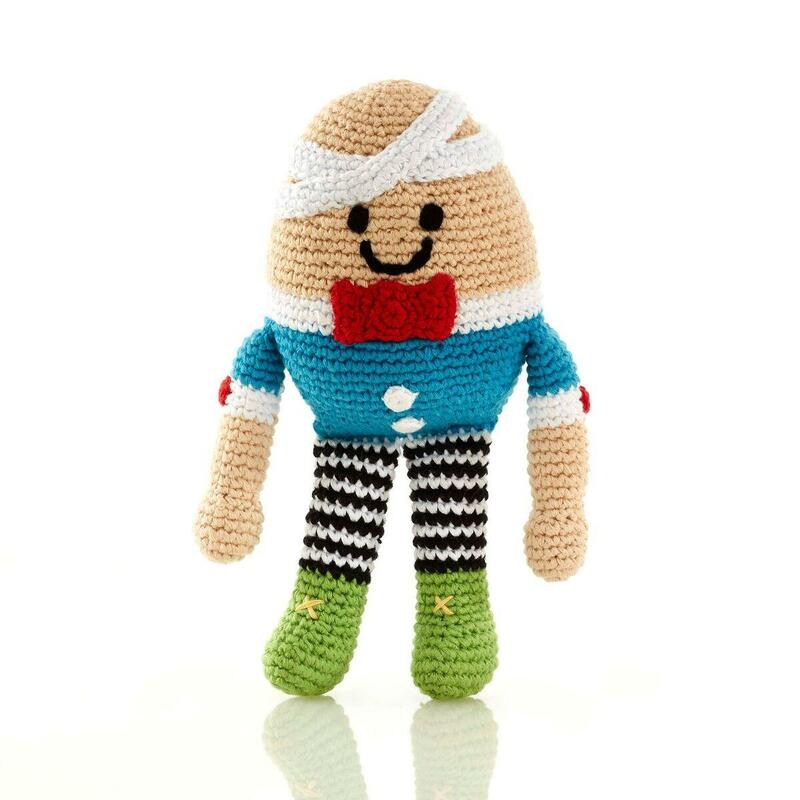 Our baby toy version of this popular Nursery Rhyme character can be dropped and suffer no damage as it is crocheted from cotton yarn. No king's horses or king's men required to put this Humpty back together again. This baby toy can also be washed in the machine so you don't need to worry about it falling on the floor. Fair trade, hand made, suitable from birth and machine washable.